Audio recording is important. Sometimes when you surf the net, you may be attracted by some melodic songs and useful audio resources and want to save them for your future use. Aside from that, audio recording has a great role in our lives when we need to record online radio, online courses, and even interesting conversation with friends. 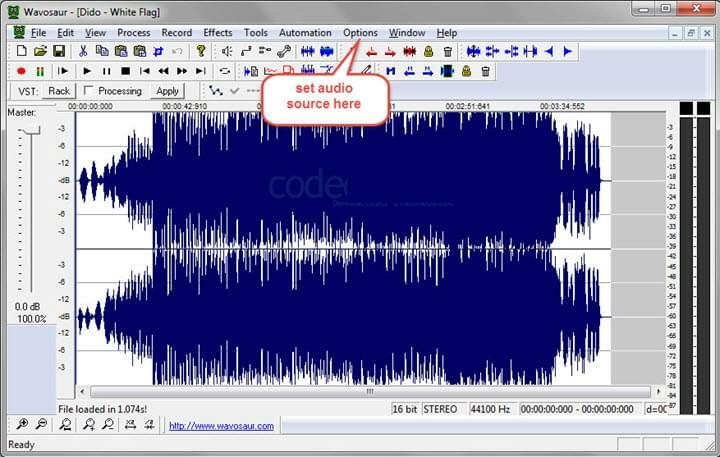 However, this will not be possible if you don’t have a reliable audio recorder. 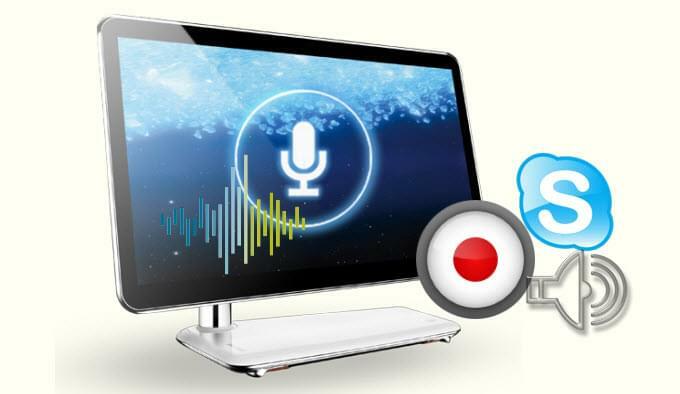 The article will share you best free audio recorder that can help you out. You don’t need to spend a single cent to get a quality recorder for your online course and some other important matters. Refer on the list below. Apowersoft Free Online Recorder is a web-based application that is free and simple to use. This tool is compatible on both Mac and Windows operating system. It can help you record from microphone, system sound or both. To use this amazing tool, you are required to install a launcher for the first time. Later, you only need to click the “Start Recording” button to activate it. From the popup window, select the audio source first. Once the audio recorder shows up, you can click the “Start” button to start recording, and click the “Stop” button on the lower part of the interface once done. Note that the recorded file will automatically be saved on your computer. Pros: This is 100% safe and free. And it also comes with other functions like music player and ID3 editor. Cons: Cannot be used when there is no internet connection. Another free online audio recorder is the one which called Online Voice Recorder. This tool can help you record voice through microphone. So if you are recording for a narration, this will definitely work. However, if you are recording a song played on computer, it won’t be helpful. To use it, simply go to its page, click the red button and allow the site to access your microphone. You may then start recording your narration, and later click “Stop” to finish the recording progress. Pros: It can trim recorded file before saving to your hard drive. Cons: You cannot record voice over 7 minutes. 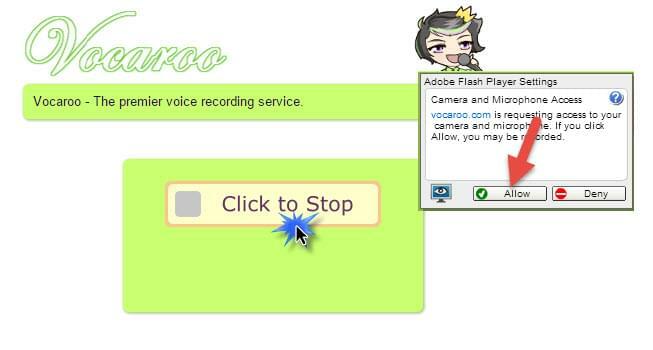 Vocaroo is a typical audio recorder. 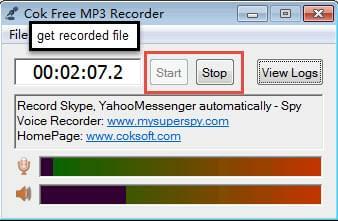 It lets you record from microphone and also supports to save the file online. If you want to get the file and save it into your computer, you first need to get the embedded code, share it on social media sites or download it. You can use it to record audio online free by simply visiting its page, look for the “Click to Record” button to start recording. (Note that you need a flash player to use it). Click the button again to stop. You will then be given 2 options, one is for recording again while the other one is for listening to the recorded file. Moreover, you also have the option to save. When you click it, it will give you codes for online sharing. Pros: This tool is free and fast to use, just one-click to record audio. Cons: The sharing function is not stable, sometimes it fails to share recorded voice to your select platforms. In case you don’t feel like using an online tool, you may try this program. This is a free desktop tool which allows you to record from mic and computer sound card. Just simply download the application from its page and then install it on your PC. Next, launch the application and follow the short instructions on UI to operate it. The software has no limit on recording duration and it works rather stable. Pros: This audio recorder can work even without internet connection. Cons: It is not suitable on Windows 8.1 and Mac OS. Wavosaur is actually an audio editor but it also be regarded as one of the best free audio recorders since it packs with lots of practical features. The process is a bit complex when comparing with the above mentioned tools. The first thing that you need to do is to select the source of audio input under “Options” – “Audio configuration”, and then choose an audio input under “Audio in tab”. The input oscilloscope window should appear to display the signal. Then, you can click the record button to start the recording job. Pros: It can trim, cut and add effects on your recorded files. Cons: Not suitable for newbies. All the free audio recording programs given above are definitely helpful. However, we cannot deny the fact that all of them have drawbacks. If you are going to decide which one to use, it is suggested to try them and find the most preferred tool for yourself.